Since the beginning of time, man has cooked with fire. That being said, we are a long way from the days of Noah who, according to the book of Genesis, offered burnt-offerings "of every clean animal, and of all clean fowl." Today, a wide variety of barbecue grills makes cooking over fire easy and fun! BBC News. Saturday, 20 Apr 2019 13:49:54 GMT. We have 19th century American cowboys to thank for our modern version of barbecue. On long cattle drives, cowboys were often fed substandard cuts of meat that required long, slow cooking in order to be palatable. The cowboys had to devise a way to cook the meat for a long time without burning it, so they placed a wooden frame, which they called the "barbecue," over the fire. Today's more modern barbecue grills are cooking devices that are fueled by charcoal, gas, or electricity. Designed for outdoor use, a simple charcoal grill can give grilled meat a delicious barbecue taste. But gas grills feature flexible controls and are more convenient to use. And some electric grills are designed for indoor use. Charcoal grills feature an upper grilling rack plus a lower grate that holds the charcoal briquettes or coals. 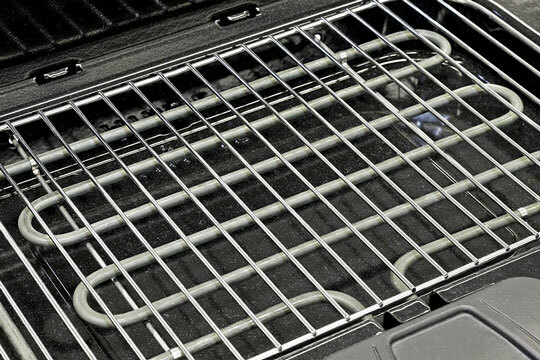 Grilling temperature is controlled by adjusting air vents in the surface of the grill. Charcoal grills impart a smoky barbecue flavor to grilled foods, but charcoal can be difficult to light, does not burn cleanly, and leaves a sooty ash residue that is messy to clean up. Furthermore, the heat from a charcoal grill is hard to regulate. Some charcoal grills are available for under $100, and the Weber dome-top grill is well-known for its durability and grilling qualities. 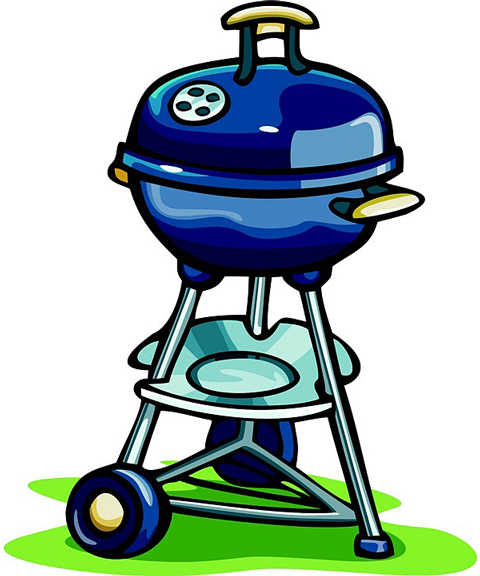 Gas grills are typically fueled by propane or natural gas. A gas grill basically consists of tube-shaped gas burners within a metal box. Above the burners is a heating surface made from metal bars, ceramic briquettes, or lava rocks. These materials disperse the heat throughout the grill. Gas grills start easily, warm up quickly, and usually cook evenly and predictably. They often feature multiple burners, convenient igniters, and storage accessories. Gas grill prices range from about $100 to thousands of dollars. Popular brands include Char-broil, Coleman, and Weber. Electric grills, powered by normal household current, are easy to start and provide accurate temperature controls, but they warm up more slowly than gas and do not provide as much grilling capacity as a high-end gas grill. With typical power requirements of more than 1600 watts, these grills require a dedicated electrical circuit. 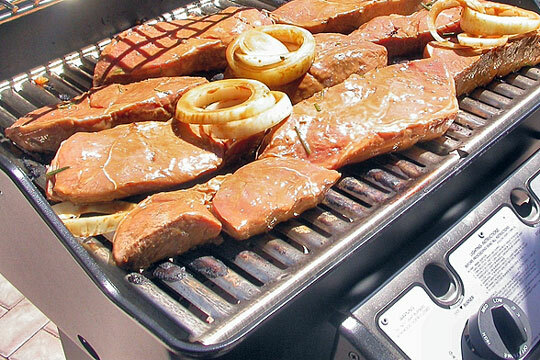 Electric grill prices range from about $100 to several hundred dollars. Popular brands include Brinkmann and George Foreman. BarbecueGrills.us includes convenient access to online barbecue grill dealers and selected grill manufacturers, as well as grilling recipes, reviews, and safety tips. Visit these barbecue resources and compare grill features, specifications, and prices before you buy. Manufacturer of charcoal grills, portable grills, and gas grills. Find grilling recipes and resources, grill replacement parts, and bbq accessories. Manufacturer of charcoal grills, gas grills, charcoal/gas grills, electric grills, smokers, fryers, and outdoor fireplaces. Texas-based manufacturer of outdoor cookers, charcoal smokers and grills. Offers a comprehensive selection of gourmet quality charcoal and electric grills. Manufactures handcrafted pellet barbecue grills, barbeque smokers, and pellet stoves. Find a great selection of recipes plus grilling tips and tricks. Premier manufacturer of quality stainless steel charcoal grills and accessories. Arkansas welding services company features barbecue grills and custom-built smokers. Pit barbecue and smoke-cooking center features barbecue recipes, a great barbecue forum, and a catalog of state-of-the-art smoker ovens, spices, woods, sauces, and accessories. Food Network publishes a good selection of barbecue and grilling recipes. Prepare your food with one of these recipe ideas and you're on your way to grilling a delicious barbecued meal. 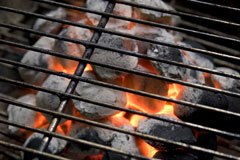 Find gas grill ratings, features, and buying advice from Consumer Reports. Directory of barbecue grill and accessory manufacturers in the USA. Guide to natural gas and propane grills. All rights reserved. Search. About.